BioMarin has said it will stop development of its Duchenne muscular dystrophy (DMD) drug Kyndrisa after another regulatory knockback. Faced with a rejection by the European regulatory authority just months after failing to win the backing of the US FDA for Kyndrisa (drisapersen), BioMarin said the decision to pull the programme was "difficult but necessary". BioMarin is abandoning the exon-skipping therapy - sometimes referred to as a molecular patch - as well as three follow-on candidates in phase II trials for various forms of DMD. This type of drug is designed to restore partial function to the dystrophin protein, which is impaired in the disease. The announcement marks the culmination of an expensive gamble for BioMarin, which paid $840m to buy drisapersen's developer Prosensa at the end of 2014. The US biopharma company says it is not abandoning research into DMD however. Chief executive Jean-Jacques Bienaimé said the plan now is to "invest in research of next generation oligonucleotides with the goal of making a safe and effective treatment available for boys with this devastating disorder". DMD affects males in childhood and is characterised by severe muscle wasting that typically leads to death before the age of 30. At the moment the only approved therapy for DMD in Europe is PTC Therapeutics' small-molecule drug Translarna (ataluren), which works via a different mechanism (premature stop codon read through) and is used in DMD caused by a 'nonsense mutation', a different patient population. The FDA rejected PTC's application to market Translarna in the US in February. Given the demise of drisapersen, attention is also shifting to another exon-skipping therapy developer - Sarepta - whose eteplirsen is currently also under review by the FDA. The US agency postponed a review deadline on this drug earlier in the year but has yet to provide a new timeline. To date, the drug has not been submitted for approval in the EU. Meanwhile, Daiichi Sankyo has also started clinical trials of an exon-skipping therapy, called DS-5141b, but says it does not expect to bring it to market until 2020. There has been some good news for European DMD patients this week however after Santhera announced it had filed for approval of Raxone (idebenone) for the treatment of DMD. The new indication for the already-approved drug is based on data showing it can improve lung function in DMD patients. 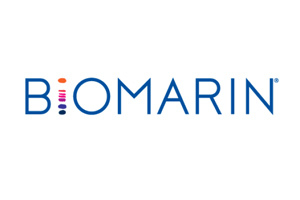 For BioMarin, the emphasis will now be on other drugs in its pipeline, including pegvaliase (PEGylated recombinant phenylalanine ammonia lyase) for the rare genetic condition phenylketonuria (PKU), which is due for filing in the second half of the year. Another near-term candidate is cerliponase alfa (BMN 190) for the rare neurodegenerative disorder CLN2 disease, which could be filed in the EU and US in the coming weeks on the back of positive mid-stage clinical data.